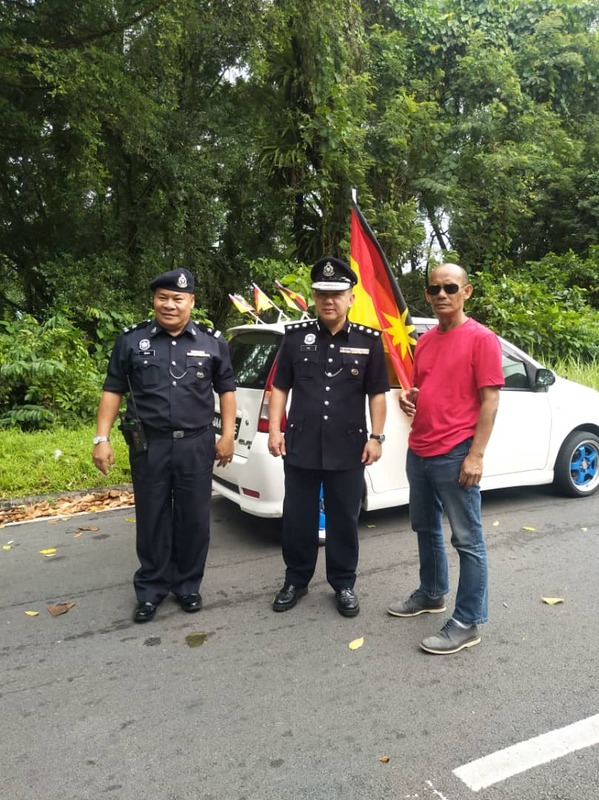 Peter John (right) posing for the camera with Kuching Police Chief ACP Ng Ah Lek (centre). KUCHING: Solidariti Anak Sarawak (SAS) founder Peter John Jaban disclosed that every quarters in Sarawak are out to dampen his spirit even though all he wants to do is remind people of the significance of being Sarawakian. “I myself have been attacked from numerous quarters, accused of receiving payoffs (worth millions of Ringgit) from almost every side – Barisan Nasional, Pakatan Harapan and GPS,” he said in his Sarawak Day message. Peter John claimed that a public relation company has admitted to being hired by a well known personality to spread rumours about him. “And yet I have to endure accusations of being on his payroll. Beyond that, various figures looking to make a name for themselves in politics have taken to social media to attack me and S4S, questioning its motives and its affliliations,” he claimd. Peter John said that Sarawak Day should be simple: restore our rights under MA63 (Malaysian Agreement 1963). The result of the last general election has turned Sarawak’s position within Malaysia into a key political issue, with the various interested parties trading promises and insults in the press and social media, Peter John said. “So, what is Sarawak Day for? It is a day for all Sarawakians to reflect on our shared interests, to remember the unique history and culture that made our state what it is and to focus ourselves on our common goal: the ongoing struggle to reclaim in full our rights and position under the Malaysia Agreement 1963 as a founding partner in this nation,” he said.